The United States military will send a nuclear-powered aircraft carrier as well as F-22 stealth fighters and an unmanned surveillance aircraft to South Korea next month. The dispatch is likely to send a strong message to North Korea amid hints that Pyongyang may soon launch a long-distance rocket. 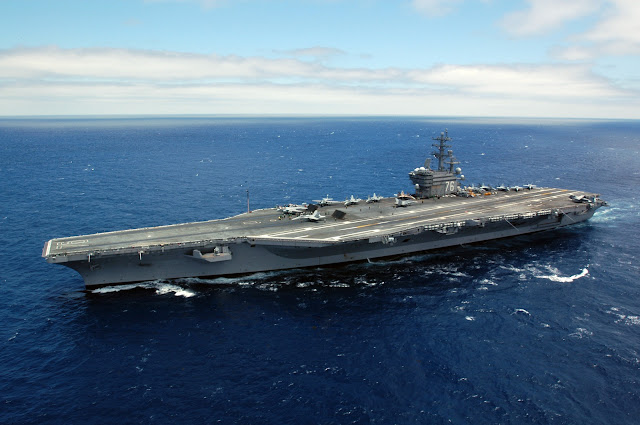 Report: The USS Ronald Reagan, an American Nimitz-class nuclear-powered aircraft carrier, will visit South Korea's southern coast next month amid threats from North Korea that it intends to launch a long-distance rocket. A military official said Thursday that the Ronald Reagan will attend a naval ceremony off the coast of Busan on October 18 in commemoration of the 70th anniversary of Korea's liberation as well as the founding of South Korea's Navy.